Hydrophobic water repellent nano-coating protects almost any type of textile from water, dirt, contamination and stains – whilst remaining totally invisible! It will not affect the appearance, its ability to breath, its color or handle and is easy to maintain. 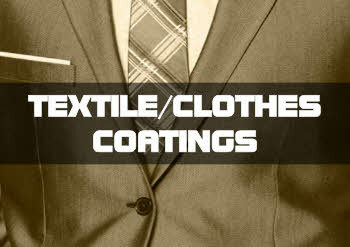 Nano coatings are exceedingly water - resistant on outdoor materials; keeping them drier longer. Oil, coffee and other frequent stains belong to the past, if the material is treated with our protective products. Photo-catalytic Functional Coating can kill a wide range of bacteria, yeasts, molds and remove odor from textile surface. Magic Textile Coat - Hydrophobic Coating For Textile Magic Textile Coat is highly hydrophobic and..